Please join us for the 1st Annual Children’s Memorial Flag Raising Ceremony in San Luis Obispo County. The Department of Social Services in collaboration with the California Office of Child Abuse Prevention and Center for Family Strengthening will be participating in a statewide raising of the Children’s Memorial Flag to honor young lives lost due to senseless violence. We gather as a community in April for National Child Abuse Prevention Month to acknowledge the importance of working together to prevent child maltreatment. For questions, please contact Sandra Jimenez at 805-781-1879 or via E-mail at sjimenez@co.slo.ca.us. 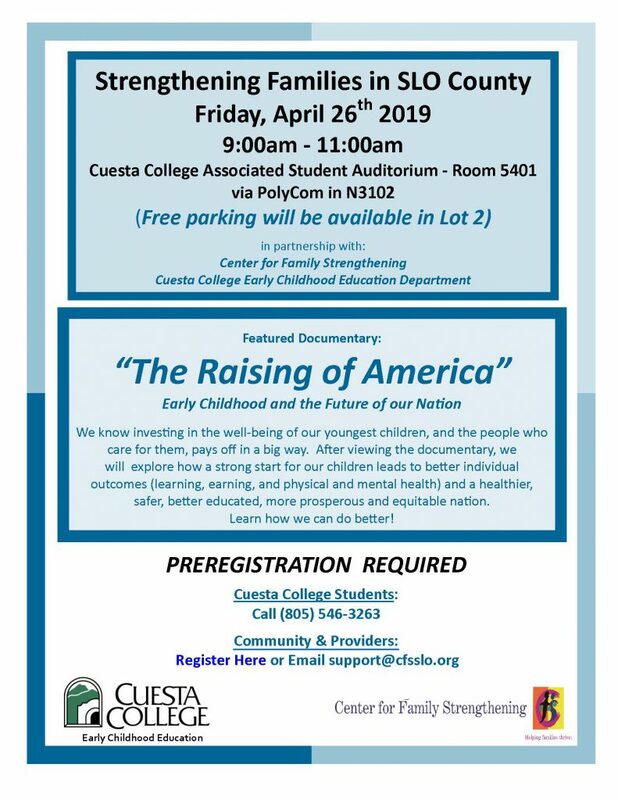 Please join Center for Family Strengthening and Cuesta College Early Childhood Education for the Annual Child Abuse Prevention Academy. We gather every April in honor of National Child Abuse Prevention Month to acknowledge the importance of working together to prevent child abuse and neglect, and to promote the social and emotional well-being of children and families in San Luis Obispo County. Martha’s Place Gives Children who Suffer from Prenatal Substance Exposure and Early Childhood Trauma a Chance to Thrive and to Reach their Full Potential. A research study known as the Adverse Childhood Experiences Study (ACEs) shows that traumatic experiences in childhood including divorce, domestic violence, abuse and neglect are associated with a greater rate of negative health outcomes later in life, including drug addiction, mental illness, chronic health conditions and even early death. (See the ACEs Study by Kaiser Permanente.) The term “complex trauma” may be used to describe both children’s exposure to multiple traumatic events as well as the long-term effects of this exposure. In addition to children who have experienced trauma, infants who have been prenatally exposed to alcohol and/or other substances are also vulnerable to experiencing challenges over the course of their life. In 2003, the Public Health Assessment Survey conducted by Community Action Partnership of San Luis Obispo County reported that there were significantly higher incidences of substance abuse among pregnant women on the Central Coast compared to national average:42% screened positive for drug use; 18% of mothers reported smoking during pregnancy; 35% endorsed using alcohol at some point in their pregnancy. We know that use of these substances impacts the development of the fetus and poses health and developmental threats to the child. Due to these findings, it was deemed to be critical in our community to assess these exposed infants as early as birth and provide targeted early intervention treatment up to five years of age to mediate negative health outcomes to the fullest extent possible. 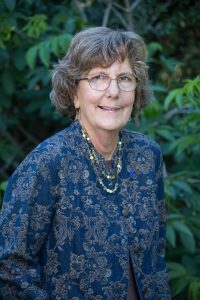 In 2007, Shirley Bianchi, retired 2nd District Supervisor, along with other SLO County Community Leaders took action and founded Martha’s Place, an assessment and treatment center for children birth to five. 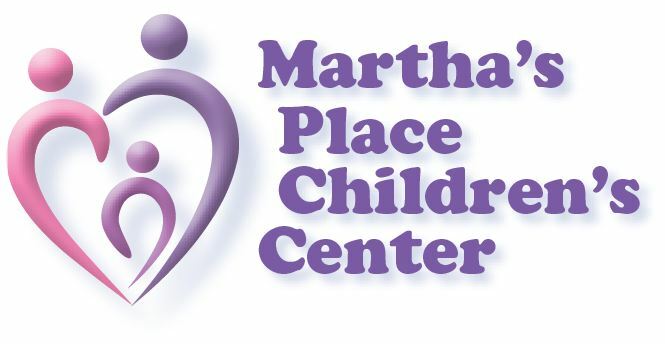 Martha’s Place is a San Luis Obispo County Health Agency program where Mental Health and Public Health are integrated to provide services for children birth to five. Martha’sPlace provides expert, multidisciplinary assessment of infants and young children who exhibit extreme behavioral concerns, developmental delays, and known prenatal substance exposure. Martha’s Place was named in honor of Martha Johnston great-granddaughter of Shirley Bianchi, whose life, though tragically short, exemplifies both the damage alcohol and drugs can have on children as well as the amazing resiliency of youth when help is provided. We know that brain development is extremely vulnerable during the first five years of life; and therefore it is crucial that children be evaluated medically, developmentally, socially and emotionally beginning as early as possible to identify any areas of concern and address these concerns before they become more challenging and solidified issues. Martha’s Place is devoted to helping children in our community to reach their full potential, to be loved, to be emotionally well developed and to enter school ready and able to learn. Martha’s Place helps give our most vulnerable young children a voice and a safe, stable environment in which to thrive. It is crucial that Martha’s Place continue to serve children who have this very critical need. The clinical staff at Martha’s Place including pediatricians, mental health therapists and public health nurses receive specialized training on detecting signs of trauma in infants and toddlers and are knowledgeable in the wide-range of resources in our community dedicated to supporting children and their families. Dr. Nisha Abdul Cader, conducts the specialized pediatric exams at Martha’s Place. She is also the Medical Director for the Suspected Abuse Response Team and serves as the supervising physician at the Juvenile Service Center for the County of San Luis Obispo. As a medical student and pediatric resident at Harbor-UCLA, Dr. Abdul Cader co-founded the UMMA Community Clinic in South Central Los Angeles and is Board Certified in General and Child Abuse Pediatrics. Dr. Abdul Cader frequently lectures locally and throughout the state on prenatal substance exposure evaluation and treatment, as well as on topics concerning child maltreatment. Today Martha’s Place provides developmentally appropriate, evidence-based services to over 300 children each year. The clinic follows the SART Model of treatment—Screening, Assessment, Referral and Treatment—created by Dr. Ira Chasnoff in Chicago. Developmental Screening ideally takes place in the community setting, such as by a family’s primary pediatric provider or in a preschool program. At Martha’s Place, screening tools include Ages and Stages Questionnaires and Child Behavior Checklists, through CHADIS, a web-based diagnostic, management, and tracking tool designed to assist professionals in efficiently addressing parents’ concerns about their child’s behavior and development. There are also screening tools for sensory processing differences, such as hypersensitivity to sound, touch, or taste, that can be caused by prenatal substance exposure and early childhood trauma. In the Assessment phase, the state of the child’s physical and mental health is determined during the intake process. The mental health assessment includes: a comprehensive psycho-social history, observation conducted by a therapist and a child/adolescent needs and strengths (CANS) assessment. The specialized pediatric assessment includes: an in-depth review of the child’s medical history; caregiver interview; a physical growth and development evaluation; and, observations of physical and behavioral signs/symptoms of fetal alcohol/drug exposure and complex trauma. Following these assessments, the family is provided with referrals to support their child’s identified needs. Referrals include additional specialized medical assessments, such as neurology or hearing evaluations, developmental services, parenting groups, and special education local plan area (SELPA) to advocate for services and accommodations through the school district. Community-based organizations, such as Family Resource Centers, often provide additional services to help families meet their basic needs such as housing, food, transportation and clothing that may be impacting the family’s ability to fully participate in services. Finally, treatment recommendations are provided to the family, which may include: individual play therapy to process trauma, family therapy to develop secure attachments with caregivers, occupational therapy, and on occasion, medication management. This treatment can be provided at Martha’s Place, by contracted providers in the community or at other County behavioral health clinics closer to the family’s home. Attachment is the deep and enduring connection that is established between a child and caregiver in the first several years of life. This relationship profoundly influences every aspect of a child’s development. A child who has experienced a disrupted attachment/trauma can present with anger, temper tantrums, aggressive behavior, anxiety, withdrawn behavior, sleep and/or eating problems. Their development can be delayed in language, coordination, balance, sensory responsiveness, cognitive functioning and they may have difficulties in processing new information. They also often exhibit poor social and emotional skills and have challenges in reading social cues. Frequently, there is a strong need for control and low self-esteem. The focus of the team at Martha’s Place is to improve the child’s ability to attach in a healthy way with caregivers—a secure attachment relationship is the primary protective factor in minimizing the negative effects of trauma on the child. Healthy attachment includes learning basic trust and reciprocity, the child exploring their environment with feelings of safety and security and the ability to co-regulate impulses and emotions. Healthy attachment creates the formation of identity-including a sense of competency, self-worth, and a balance between autonomy and dependency. Importantly, it provides the child the opportunity to form a prosocial moral framework including empathy, compassion, and conscience. It generates a core belief system and provides a defense against stress and trauma. “When my family was considering moving out of the area, the number one reason we stayed was because of Martha’s Place and the key services it provided our child. Our son is a totally different child since beginning treatment at Martha’s Place. He no longer exhibits continuous meltdowns and his mood has evened out. Medication with therapy has allowed him to be able to engage more appropriately and benefit from interventions”. For many families, Martha’s Place is the most important organization within the community providing mental health services that would otherwise be inaccessible or cost prohibitive. MoCPOC, chaired by Mary Bianchi, Aunt of Martha Johnston, seeks to leverage community resources in an open format that informs all partners on the current needs of Martha’s Place and to stimulates ideas, discussion and solutions to ensure children’s needs are being met through the System of Care. 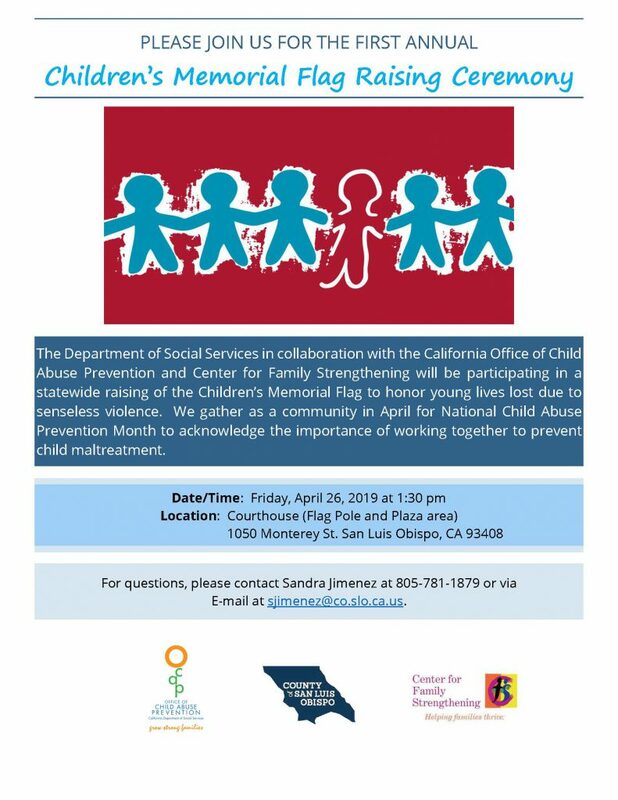 MoCPOC is made up of representatives from agencies and individuals including: Center for Family Strengthening, SLO County Child Welfare Services, SLO County Health Agency, SELPA, Community Action Partnership of SLO County, and County Supervisor Bruce Gibson. MoCPOC’s Vision is for the community of San Luis Obispo to ensure all children will receive any interventions, treatment and support they may need to reach their highest level of growth and development; live safely in their homes, succeed in school, have meaningful friendships, grow up healthy, and become resilient citizens of our community. Martha’s Place was named in honor of my niece, Martha Johnston, whose tragically short life exemplifies the damage alcohol and drugs can have on the very young. My family was inspired to take action so other young children could have a better chance to heal from the trauma of abuse and neglect. Martha’s Place helps our family deal with the pain and grief of losing our Martha. My mom, Shirley Bianchi, is a founding member of Martha’s Place. I am honored to follow in her footsteps and serve on the Model of Care Oversight Partners Committee of Martha’s Place (MoCPOC) and the Center for Family Strengthening Board of Directors. I serve because I am devoted to improving resources dedicated to serve children birth to five years of age suffering with severe developmental delays and behavioral challenges due to prenatal substance exposure and/or early childhood trauma. For these children and their families, particularly those with financial challenges, Martha’s Place is the portal to mental health services they need in San Luis Obispo County. Please join me in providing young children affected by trauma a chance to grow, learn, and thrive. Please contribute to the Friends of Martha’s Place Fund. Contact Center for Family Strengthening at 805 543-6216 or support@cfsslo.org for more information. All contributions are tax deductible. 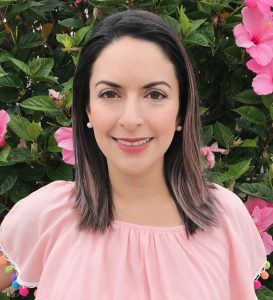 Ruvalcaba-Heredia is a graduate of the University of Santa Barbara and earned her Master’s Degree in Spanish and BA in Spanish and Latino and Iberian Studies. She holds a PhEd in Organizational Leadership from the University of Laverne. 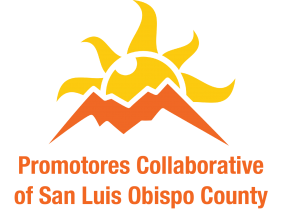 “Promotores Collaborative,” of San Luis Obispo County is an emerging prevention and health education model that works for the Latino community with neighbor-to-neighbor outreach activities. 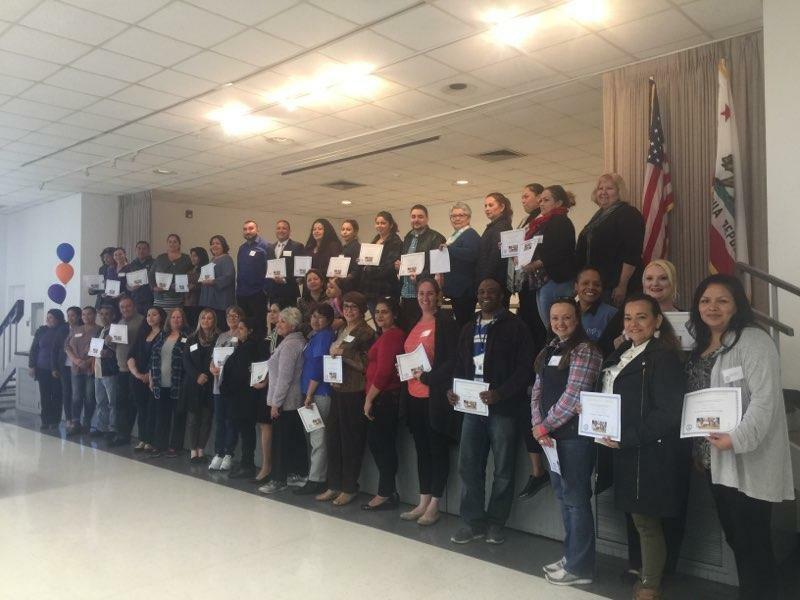 This promising and novel program, introduced by Center for Family Strengthening (CFS), is rapidly changing our Spanish-speaking Community from within to achieve greater and greater success. Organized and trained volunteer Latinos within the neighborhood are providing a path for other Latinos in the neighborhood to thrive. Promotores volunteers reach into the Latino neighborhoods to recruit, organize and train networks of Spanish-speaking volunteers who introduce Latinos to important beneficial services to build healthy communities. Through Promotores, the Latino Community, neighborhood by neighborhood, is learning essential life skills. Promotores provides Latinos access to healthy foods, nutritional education, emotional support, access to mental health resources such as substance abuse and domestic violence programs, medical and dental care access, and programs tailored to child development, effective parenting and education. 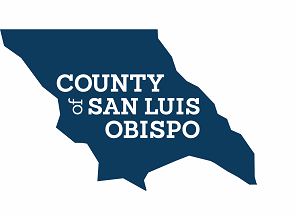 About Center for Family Strengthening (formerly SLO-CAP): In 1988 the San Luis Obispo County Board of Supervisors designated Center for Family Strengthening (CFS) as the self-governing entity responsible for local efforts to prevent and respond to child abuse and neglect. Center for Family Strengthening is dedicated to strengthening families through education and advocacy. Center for Family Strengthening partners with family support organizations in SLO County to provide resources to families in need, protect children from abuse and neglect, and ensure that strong families are a community priority. To donate or learn more about Center for Family Strengthening go to www.cfsslo.org or call (805) 543-6216. Gwendolyn Garcia has joined Center for Family Strengthening as Program Coordinator for CFS’ major programs: Parent Connection, Kidz Tool Box for personal safety, Promotores Collaborative, Central Coast Breastfeeding Coalition and Postpartum Depression Support Services. Garcia graduated from California Polytechnic University with a Bachelors of Science Degree in Child Development and a minor in Psychology and also holds an Associate Degree in Early Child Development and Behavioral Sciences. Impressively, while completing her studies at Cal Poly, she received training through Active Parenting and Positive Discipline. 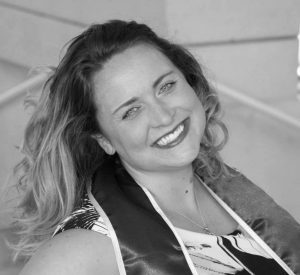 She worked as an“early childhood educator” at Community Action Partnership of San Luis Obispo, served as Assistant Director at the Shepard Christian Preschool and was a co-teacher working with pre-schoolers at the County Office of Education in Paso Robles and Shandon. Center for Family Strengthening is a SLO-based non-profit agency dedicated to preventing child abuse and neglect through by building stronger families and supporting them with a myriad of programs. Through its Parent Connection, Center for Family Strengthening offers parenting skills classes and coaching skills, and manages the Postpartum Depression Support Line and support services. Through Kidz Toolbox for Personal Safety, CFS teaches child protective and safety skills. CFS’ Beginnings program offers prenatal substance use awareness. CFS also educates the San Luis Obispo Community at large about child abuse reporting laws. 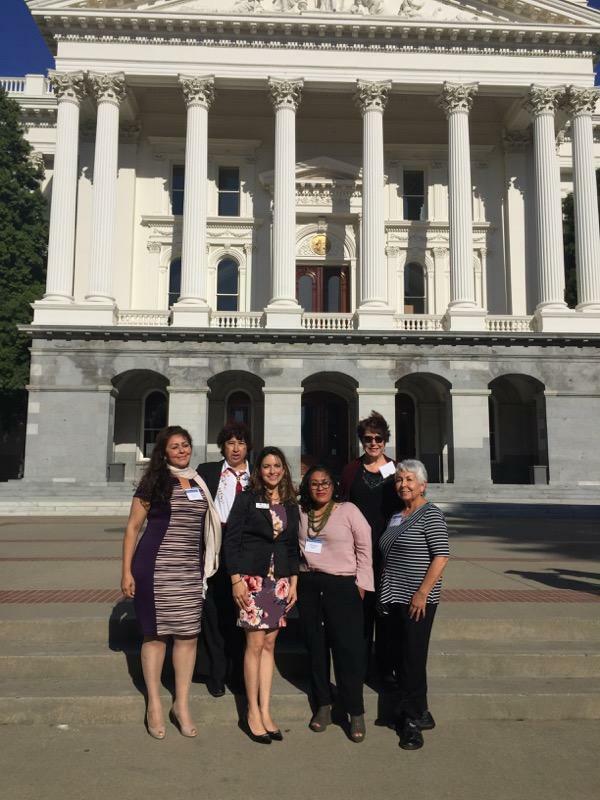 Promotores Collaborative is a volunteer team of Spanish-speaking members who connect to families in need. CFS works with Public Health Programs to make dental care accessible to the thousands of children in this San Luis Obispo County who do not qualify for Medical. The Central Coast Breast Feeding Coalition brings together a collaborative team of breastfeeding advocates to network, share resources, accomplish projects and provide breastfeeding education based on current research and best practice. To provide families high-quality services and opportunities to thrive, CFS also partners with 14 county-wide Family Resource Centers. Center for Family Strengthening has moved its corporate headquarters to 3480 South Higuera, Suite 100, San Luis Obispo. Affiliate agency ALPHA Pregnancy and Parenting Support is also moving its corporate headquarters and will co-locate with Center for Family Strengthening. Center for Family Strengthening is an SLO-based non-profit agency dedicated to preventing child abuse and neglect through by building stronger families and supporting them with a myriad of programs. Ron Huxley, Family Healer and Therapeutic Parent Coach, featured guest speaker at the recent Child Abuse Prevention Academy at Cuesta College, described how abusive emotional childhood experiences could so negatively affect a young child resulting in underdeveloped social and emotional skills as well as negative impacts on our society as a whole. According to experts, child abuse is preventable by strengthening families and fostering the healthy development of children. Working with the Community, CFS prevents child abuse by offering programs that make systemic changes in lives of families. A community that cares about early childhood development, parental support, and maternal mental health will foster nurturing families and healthy children. Child abuse and neglect are found in families across the social and economic spectrum. Social isolation, financial stress, poverty, substance abuse, and domestic violence are all factors that can lead to adults abusing children. In 1988 the San Luis Obispo County Board of Supervisors designated Center for Family Strengthening (CFS) as the self-governing entity responsible for local efforts to prevent and respond to child abuse and neglect. Center for Family Strengthening is dedicated to strengthening families through education and advocacy. Center for Family Strengthening partners with family support organizations in SLO County to provide resources to families in need, protect children from abuse and neglect, and ensure that strong families are a community priority. To donate or learn more about Center for Family Strengthening go to www.cfsslo.org or call (805) 543-6216. Alpha provides support, practical assistance during pregnancy through a child’s second year, and education on pregnancy and early parenting throughout San Luis Obispo County.